A brief guide to the history of the English language and the joys of exploring where our words come from. With Spellbinding Sentences as your guide, you will master two essential writing skills. You'll become fluent at finding words, and expert in arranging them into powerful sentences—sentences that will grab and keep your readers' attention. Barbara Baig’s Spellbinding Sentences is a tribute to the pleasure and vitality of the English language. Never prescriptive and always clear, this enlightening book is sure to help all those wishing to add grace and strength to their writing. Spellbinding Sentences is sophisticated and down-to-earth at the same time. Barbara Baig has distilled decades of experience into this wise book. Barbara Baig’s exposition of ‘sentence craft’ is a wonderful and useful treatment for writers young and old, fiction and nonfiction, practical and personal. Here teachers and students will find a handy toolkit of developing the ‘word mind,’ whose achievement is the beginning of distinctive, effective prose. Spellbinding Sentences is a wonderfully clear, thoughtful and practical guide for any writer who wants to master the basic unit of our craft: the sentence. Starting with ways of flexing your writerly muscles, stocking your word-hoard and regaining the confidence that you may have lost, Barbara Baig moves on to explain the building-blocks of our language and the different ways they can be fitted together to create the effects that you want. This book will help any writer to move well beyond mere correctness, towards writing which is not just clear and accurate in meaning, but full of style and music as well. With the exception of the fortunate few, most writers don’t just “happen.” They must study their craft. With that in mind, when it comes to creating compelling prose, Barbara Baig’s Spellbinding Sentences is a great place to start. Barbara Baig’s course on sentences is one I return to often when I want to practice my craft. She has collected it now in this book: a graded course from words to sentences, with an emphasis on hands-on practice and reflection, both of which lead to true growth. 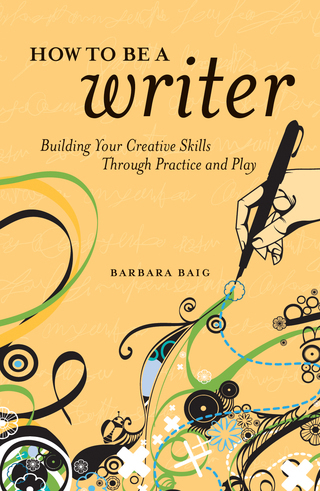 Barbara knows that mastery comes from practice, and that practice yields power—a message sorely neglected in the writing world today. I recommend her Spellbinding Sentences to beginning and experienced writers alike. 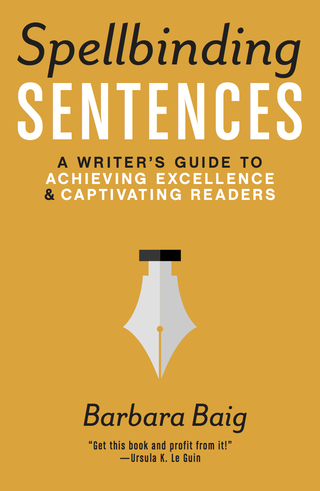 Barbara Baig’s new book is a master course in the most fundamental of a writer’s skills – how to build sentences that readers want to read. She goes well beyond the basics, teaching elegance and grace as much as grammar, and offering the exercises that are essential to true mastery of the craft. Barbara Baig loves writing, and it shows. This booklet explains how writers can give up the myth of innate talent and instead master skills the same way top musicians and athletes do—through deliberate practice. AVAILABLE FOR DOWNLOAD NOW. “The Talent Myth,” in The Writer, April 2012. “Starting the Writing Journey,” in Writing Basics, 2012 . “Writing as Practice, Writing as Play,” in The Writer’s Guide to Creativity, 2011. “Where Writing Meets Baseball,” Brown Alumni Monthly, (forthcoming). “How To Become an Excellent Writer,” Writer Beware .